Fault lines was exposed in the Mine workers Union of Namibia with a delegation who turned up late for a meeting at State House resulting in the cancellation of the meeting with the President and a surprise letter from members at Husab Mine informing the labour commissioner that the late comers have no mandate to negotiate on their behalf. The negations would have been on the demands of federation of Workers unions that the Erongo Regional Governor, Cleophas Mutjavikua be removed from his official position. More than a hundred mine workers distanced themselves from Mine workers Union’s actions and said in their letter that the delegation must rather travel to Swakopmund to get a new mandate for representation from them. 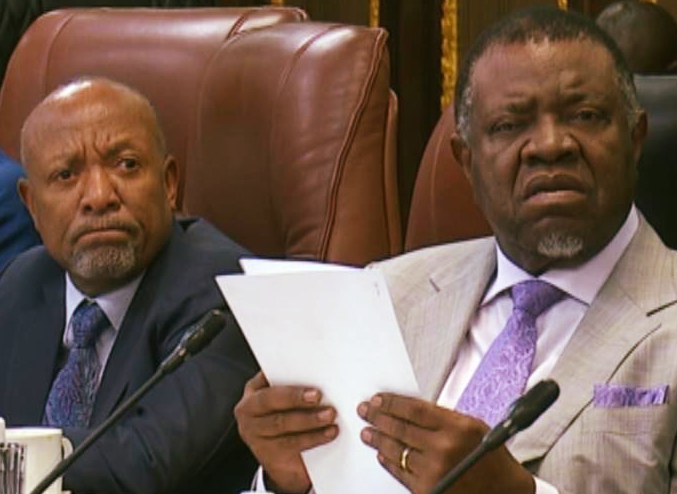 In a statement issued by State house, Dr Hage Geingob, refuted the explanation of the Mine workers Union of Namibia that security checks at State House were the cause of its representatives arriving late for the high level meeting. President Geingob agreed to meet with a delegation of the Mine workers Union of Namibia following an urgent request on 11 March 2019 by the leadership of the union. The delegation was supposed to be led by the General Secretary of the Union, Mr. Ebben Zarondo. In a letter addressed to the Presidency, the MUN stated that it requested a meeting with President Geingob following its ordinary National Executive Committee held on 8 March 2019, at which it resolved to seek an audience to discuss the leaked audio recording of Erongo Regional Governor Mutjavikua, regarding possible restructuring of Swakop Uranium. 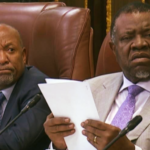 The Presidency agreed in a letter dated 11 March 2019 to meet with the MUN leadership and in this regard President Geingob and a delegation consisting of the Vice President, Nangolo Mbumba, the Deputy Prime Minister, Netumbo Nandi-Ndaitwah and line Ministers arrived for the meeting ahead of the agreed time. President Geingob waited for well over ten minutes before leaving the meeting venue. However, before he left the MUN request was read out to the media representatives present. The Presidency stated that it is incorrect on the part of the Union to say that they were delayed during the security clearance at State House.